Everyone loves pictures! 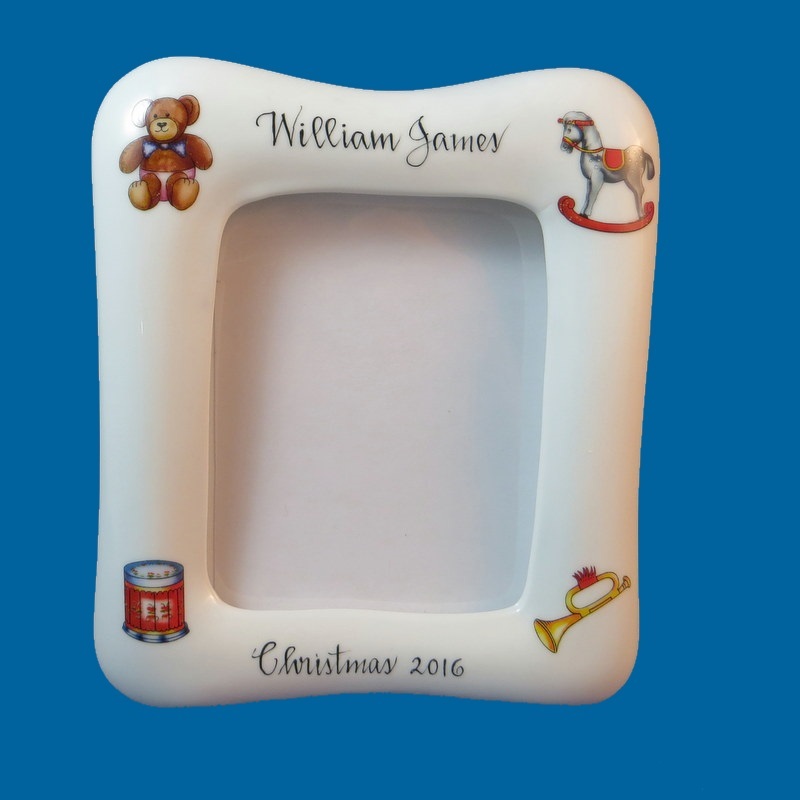 Our 4 x 6 white porcelain picture frame is decorated with a fun holiday toy theme and is the PERFECT picture frame for Christmas. You can have your child's name across the top of the frame and and/or birth date or holiday saying written across the bottom of the frame. A gift box with holiday ribbon and encloure card are included.